Our specialist Housing team, Woodhead Living has begun work on 22 brand new family homes for South Derbyshire District Council. The energy efficient council homes, being built across two sites in Swadlincote and Overseal, will replace disused land with a mix of family homes and bungalows. Work is already under way on both sites, which have been funded by the District Council to meet a local housing need in the area. At Pennine Way in Swadlincote eight semi-detached houses and two semi-detached bungalows are being built on disused waste land adjacent to the existing road. In Lullington Road, Overseal, the Woodhead team is building 12 semi-detached family homes to regenerate an area that was previously occupied by prefabricated housing. 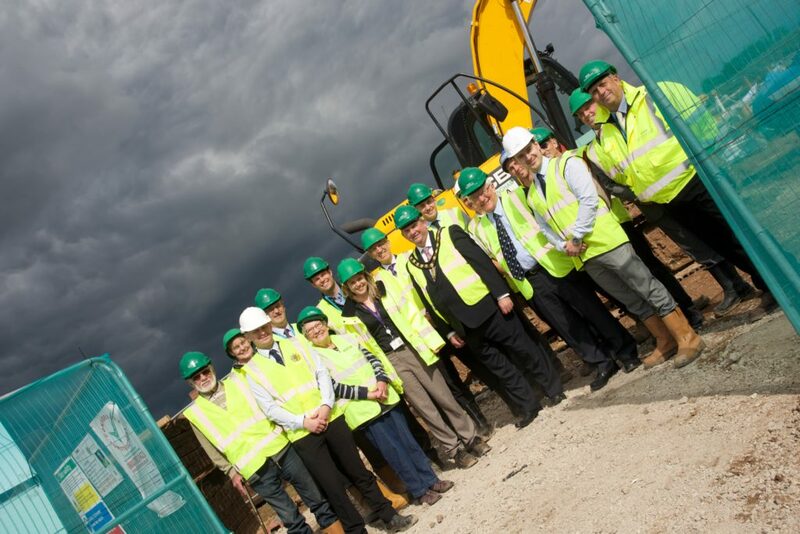 Cllr Jim Hewlett, Chairman of Housing and Community Services at the District Council, said: “It is wonderful to see work is progressing well on these new homes. David Woodhead, Managing Director of Robert Woodhead Ltd, said: “We’re delighted to be working with South Derbyshire District Council on these key housing sites within the district. “These homes are not only meeting a local housing need, but also being built to the highest standards to ensure they are sustainable for future generations of council tenants. Both builds, which began in recent weeks, are expected to complete by spring 2016. While Woodhead’s team is on site, the construction company will engage with the local community to minimise disruption and support the surrounding area through work experience and local spend.